Allotria elonympha - Hodges#8721 (False Underwing). 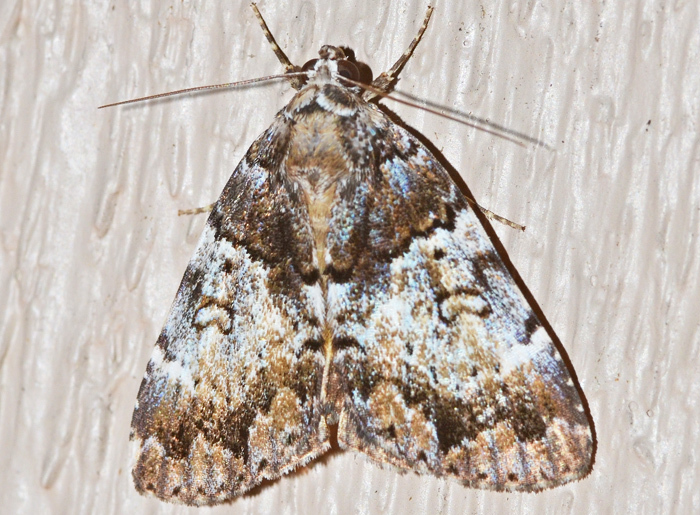 The False Underwing can be found around deciduous trees, such as black gum, walnuts, and hickories. Allotria elonympha is a medium-sized moth, with dark gray forewings and a deep yellow hind-wing (hidden here) with an even black border. It resembles a small true underwing moth (Catocala) but can be distinguished by the presence of the black orbicular dot on the forewing and by the lack of a dark inner band on the hindwing, which is usually present in the true underwings.